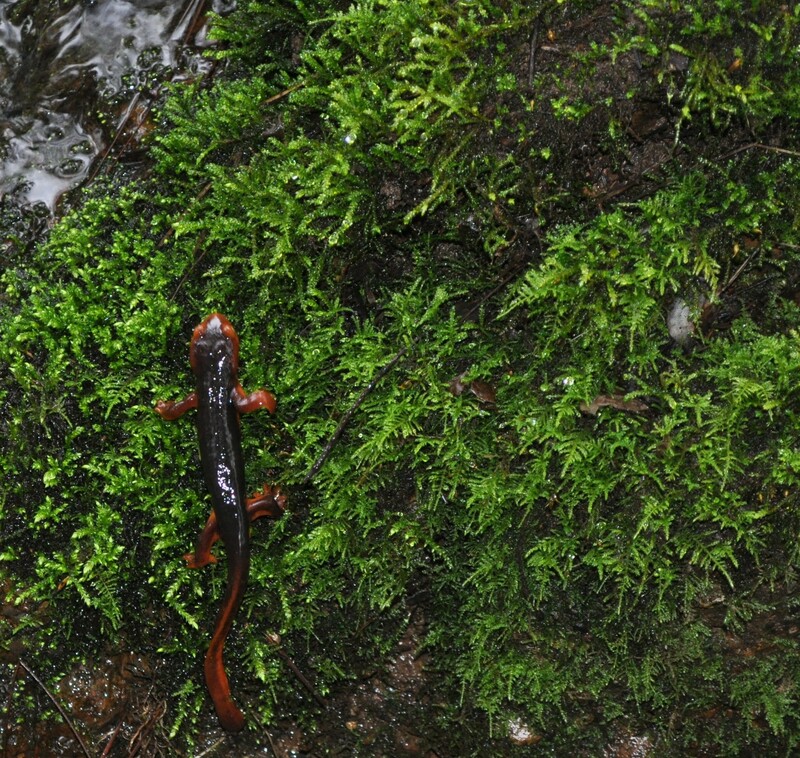 yes, salamanders are slow processers. and a free class on the truth. The truth is I’m not too quick on the draw — I’m a slow processer, like a salamander. I prefer to mull things over thousands of several times before I feel prepared to respond. I’ve learned to accept and even appreciate this, bar momentary relapses (usually when I’m not feeling grounded or connected, i.e., not taking care of myself), as with a recent conversation with an acquaintance. She was sharing about how well things are going in her life. Something about it triggered me: I felt a shift in my heart rate, a slight tensing in my solar plexus and instantly a voice in my head said Say something clever, be charming! Oh, the ego is so delicate. For better or worse, I spent a good part of a minute trying come up with something to say. Of course, I couldn’t come up with anything. Today I can, but in the moment? No. Not saying anything left the silence and space for her to play out her story (which turned out to not be all sunshine and cherries). And space for me to be in my jealously and watch it shift in my body and eventually move through, leaving yet more space. I notice something similar when a friend is in need or making a decision. Ooo ooo, I know what you should do! But rushing in with fixes rob us of the opportunity to let the thing run its natural course. And, like with teaching, how much better is it for a person to find their own way to an answer than for you give it to them? Claiming that you know for them is actually quite arrogant. In the midst of this interaction I also remembered that we’re currently studying ahimsa and sayta (non-violence and non-lying) in the Enrichment Program. It was a great reminder that these foundational restraints and observances are a choice. The mindful life takes practice and patience, effort and discipline (but that’s tapas and we’re not there yet:). Anyway, chances are my acquaintance wouldn’t have thought I was as brilliant and amazing as I’d have wanted her to. In celebration of being more honest with ourselves, here’s a free class practice based on satya. Play with the little ways you exaggerate or deny or camouflage. Let me know how it feels (honestly!). Click to listen, right click to save or open in iTunes. It would be great to have a strap or robe tie, padding for your knees, two blocks (or just use the seat of a chair) and a little piece of wall. Don’t let all the stuff scare you — it’s a pretty simple and lighthearted class based around Half Moon Pose. thank you! i loved the part about the mean voices being the loud ones and the soft voices being your friends. i think i heard myself laugh. such a great class in person and audio! i’ll see what i can do, kel. Next post: are you not listening?